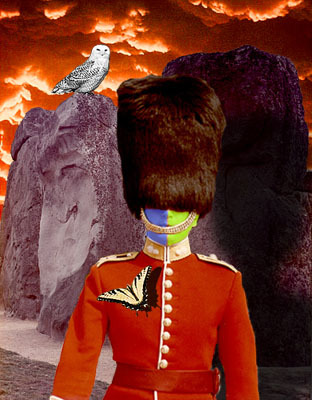 This image might be called "Red Guard guarding Stonehenge with the help of an owl and a yellow butterfly". Five different photographs have been combined into one here. Can you guess what the five are?